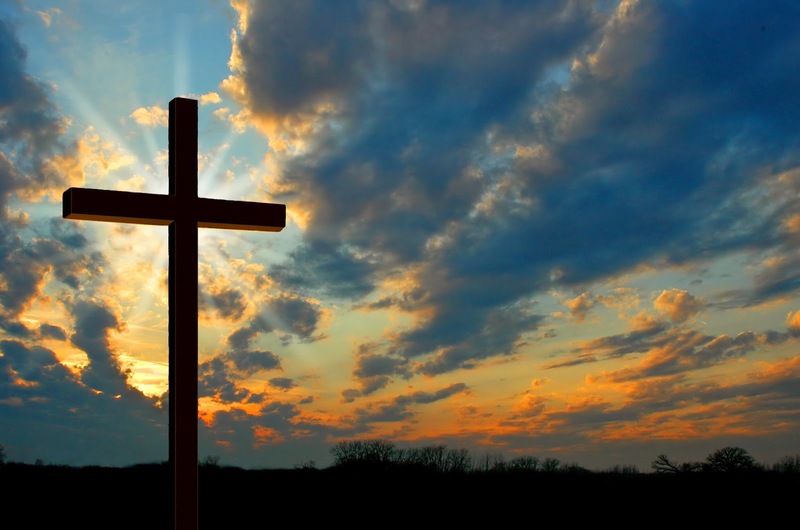 Faith and Freedom Daily: "He Is Risen; He Is Not Here"
Within 72 hours after Jesus had been killed publicly, an angel was found to be outside the tomb where he had been buried, The angel, sitting on the stone that had been rolled aside, said, "He is risen, He is not here." Soon after the death and Resurrection of Jesus, people, for a variety of reasons, began attempting to discredit the event and the belief in a resurrection. The Sadducees, who did not believe in any kind of resurrection, were even trying to trick Jesus on the subject during the time of His ministry on earth before His death, creating a hypothetical case involving the death of a man, his seven brothers, and if one of them married her, as was the custom, to whom will she be married after the resurrection. If there is such a thing ( Matthew 22). That narrative continues today. In fact it is a part of every attempt to discredit God and the gospel of Jesus Christ. Dan Barker, graduate of Azusa Pacific University with a degree in religion, former pastor and Christian songwriter wrote in his book, "Losing Faith in Faith: From Preacher to Atheist," "I am now convinced that the Jesus story is just a myth." The thrust of his book launched his career as an atheist and founder of Freedom From Religion, the largest atheist organization in the country. His life's work is to discredit the resurrection, and in doing so discredit God Himself. Why do so many try so hard to undermine the resurrection? No religion in the world can match the claims of Christianity. What significantly differentiates it from all other religions is its declaration that Christ literally rose from the grave. Harvard Professor Dr. Simon Greenleaf has written, "According to the laws of legal evidence used in courts of law, there is more evidence for the historical fact of the resurrection of Jesus Christ than for just about any other event in history." Here are 7 reasons why those who reject Christ attempt to discredit the resurrection. These 7 reasons are also God's 7 assurances to every believer. 1. The resurrection of Christ assures us that God has accepted Christ's sacrifice. The resurrection is proof that Jesus is the Messiah---the Savior of mankind. Had he remained in the tomb, He would have merely at best been a great leader and good man. Romans 4:25 says, "He [Jesus] was delivered over to death for our sins and was raised to life for our justification." 2. The Resurrection assures us there is life after death. Throughout human history man has tried to solve the mystery: Is there life after death? The acceptance and confession of who Jesus really is and the fact of His resurrection settles the matter of life after death. 3. The resurrection assures us that Christ is with us in the present. Moments after the crucifixion the disciples struggled with fear, anxiety and even despair, but when the resurrection became apparent their lives were transformed. They no longer felt abandoned or alone. Jesus' promise, "And surely I am with you always, even unto the end of the age" (Matthew 28:20) took on a new relevance. Bill and Gloria Gaither put the song in the hearts of millions---"Because He lives, I can face tomorrow, because He lives all fear is gone...life is worth the living just because He lives." 4. The resurrection assures us that we have an advocate in heaven. This truth gives every believer victory over condemnation. Paul explained it like this to the Christians in Rome: "Who is to condemn? Christ Jesus is the one who died---more than that, who was raised--who is at the right hand of God, who is indeed interceding for us" (Romans 8:34). 5. The resurrection assures us of the necessary power to live as God requires. Religion, per se, can be burdensome. Christianity offers the opportunity of freedom, and the power to live it out in real life. "I want to know Christ--yes, to know the power of the resurrection" (Phil. 3:10). 6. The resurrection assures us of the new bodies we will have some day. In this life physical healing is experienced in a number of different ways. Sometimes God works through the hands of the surgeon and medical advances. Sometimes He heals instantaneously---some times through a recovery process. All are miracles. Sometimes He says wait for the ultimate healing---your resurrected body. The Bible says, "But our citizenship is in heaven. And we eagerly await a Savior from there, the Lord Jesus Christ, who, by the power that enables Him to bring everything under His control, will transform our lowly bodies so that they will be like His glorious body" ( Phil 3:20,21). 7. The resurrection assures us of a returning Redeemer-King. Billy Graham has often said, "The resurrection is an event that was both preparatory for and confirmative of a future event even of his second coming." Although much of our world is in chaos and disarray, God's plan is proceeding without delay. Be assured He is coming again. Although his first coming was as a baby in a manger, climaxing as a man humiliated and publicly beaten--- crucified and mocked as "King of The Jews," His second coming will be one of grandeur and splendor. Every knee will bow before him. Every mouth will confess that he is indeed Lord. This is why more than 2 billion Christians around the world will raise their voices this weekend in celebration. They will sing in all the languages of the world, "Christ the Lord is risen today, Alleluia." I just want to say Thank You. I attended a Good Friday 'concert' today in a community gathering. The first song was a re-write of 'Here comes the sun' to: 'Here comes the Son '. But it was 'lame'. The second song glorified the Lord and stated that it is not what we have done, but have we been washed in the blood of God's Son. I'm grateful for your words of truth from the Word, the Truth. "Be not deceived, God is not mocked. Whatsoever a man sows, that shall he also reap." Praise God that is a positive as well as a negative. May our Lord continually strengthen you to stand true to Him. Sad to hear about Dan Barker. Somehow the world got between him and the light. No matter where we are at, God is at work in our lives if we are looking to him and seeking him. Because Jesus lives we have all kinds of hope. Because he is at work within us, we are a work in progress, no matter where we are. Because he is at work on us, his heart is invested there, and we bear his name, because his name is on his work. Yes, Jesus lives.